Kmart is not nearly as popular as it was several decades ago. 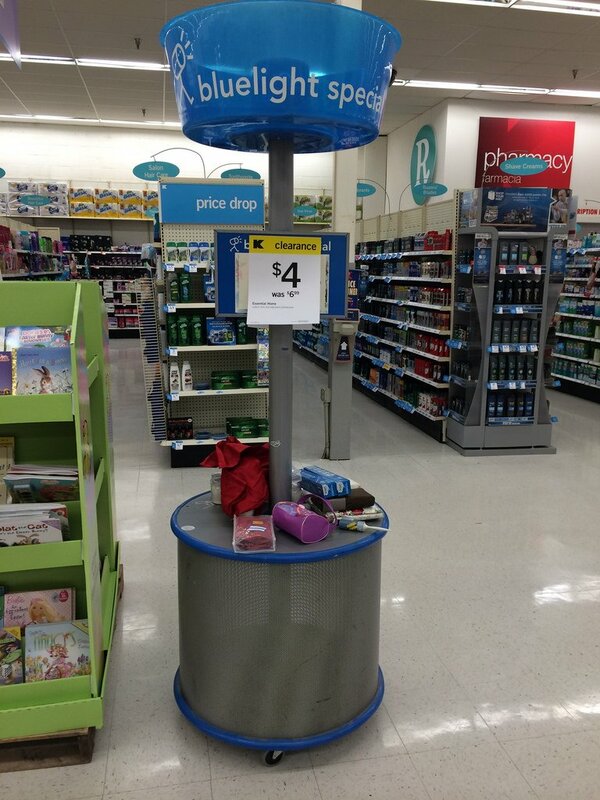 As more and more Kmart stores go out of business, Kmart seems like a distant memory to many people. Do you remember shopping there often? If you do, there are several things about this convenience store that you may have forgotten about. Most Kmarts (if they’re still open) now just say Kmart on the outside, they used to have a “Big Kmart” logo. 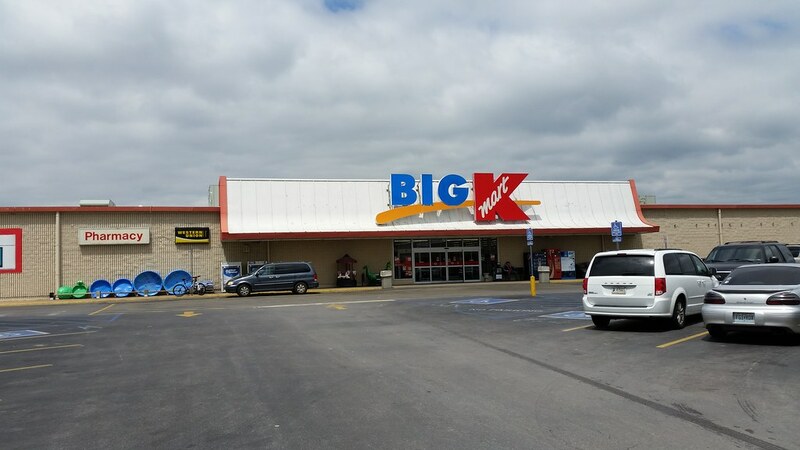 Did you (or do you still) have a Kmart in your town? While there are still a bunch of Kmart stores scattered around the United States, there are not nearly as many as there used to be. 2. 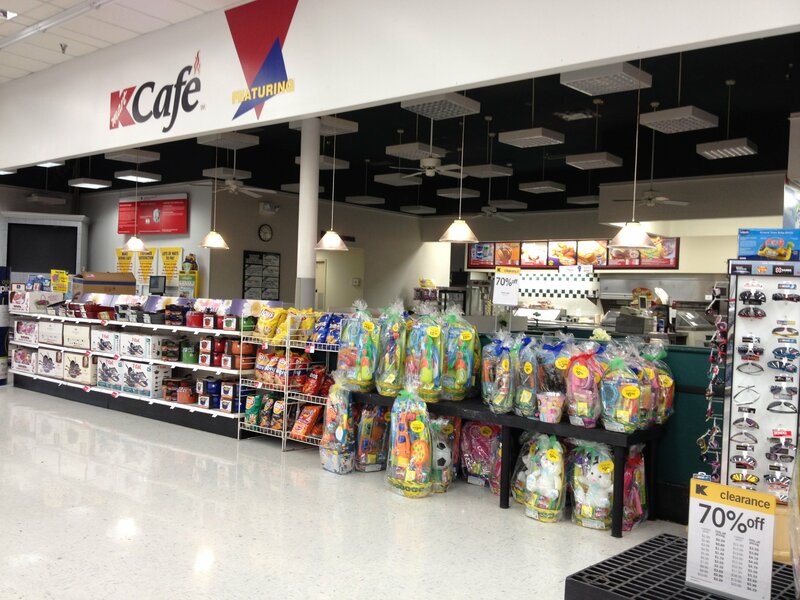 Do you remember the Kmart Cafe? Did you ever get a hot dog and an Icee from the Kmart Cafe? According to Reddit, Kmart Cafes in the 1980s had dinner meals like liver and onions, tuna melts, and desserts like apple dumplings. 3. Or did your Kmart have a Little Caesars? 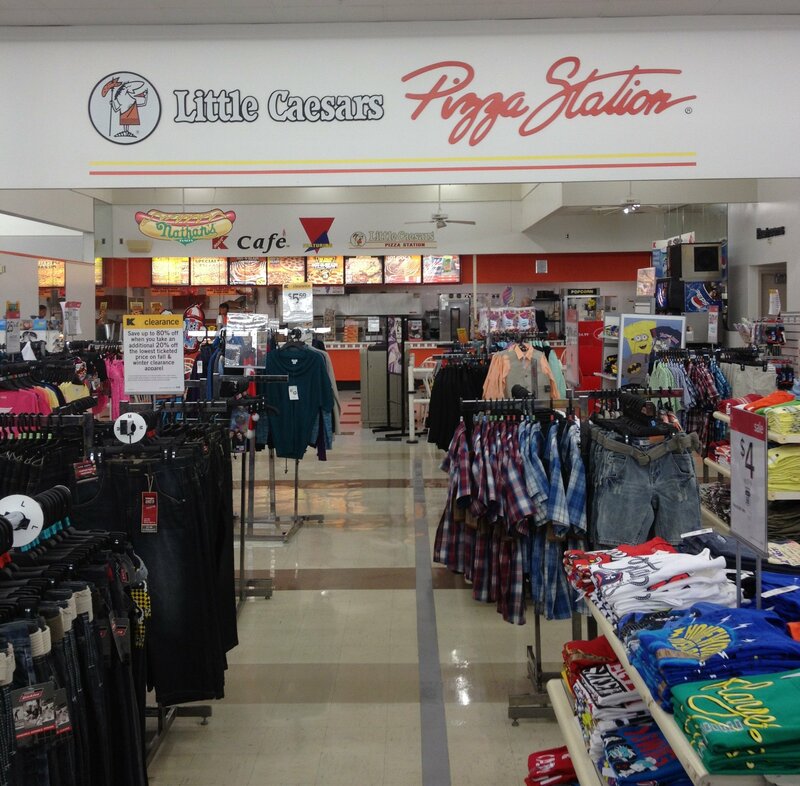 In the 1990s, many Kmarts transformed to have a Little Caesars instead of a Kmart Cafe. 4. They advertised bluelight specials all over the store and on television. Do you remember those commercials with Mr. Bluelight? Watch it on the next page and see if you remember! At certain locations, there were even bluelight special carts with a blue light on a pole. 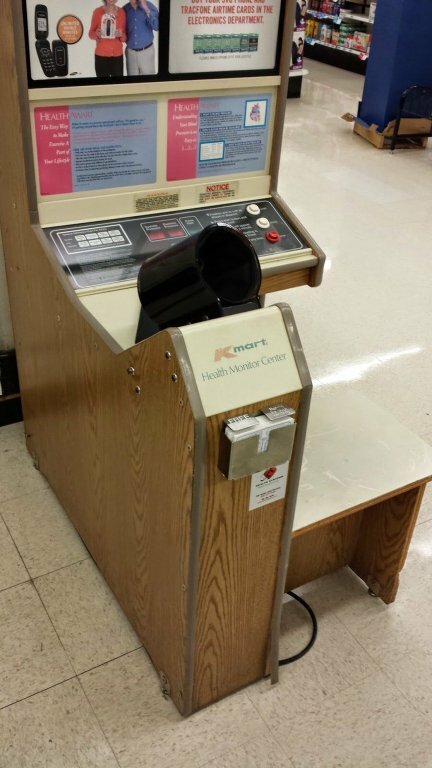 Whether you truly needed to check your blood pressure or just wanted to kill time while waiting for a prescription, did you ever stick your arm in the blood pressure monitor at Kmart? Crazy to think in the past you took photos, took them to a store to get developed, waited for the photos and then got them back in envelopes like this. Now we share all of our photos on social media so much faster. 7. Don’t forget those plastic bags. Do you still have any of these lying around? 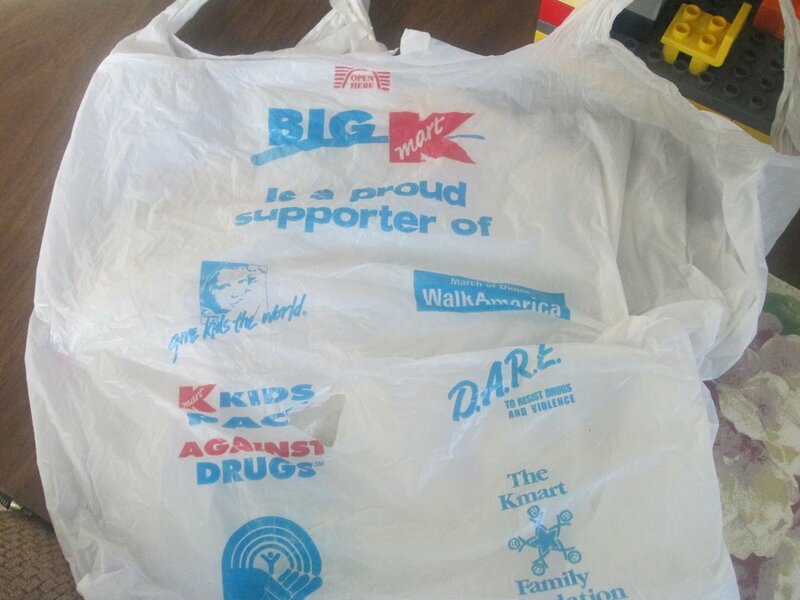 You probably remember these bags but haven’t seen one in so long. 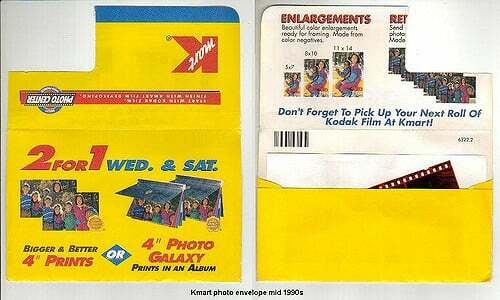 What else do you remember from Kmart back in the day? Are you sad to see so many Kmarts closing or do you prefer another store like Target or Walmart?